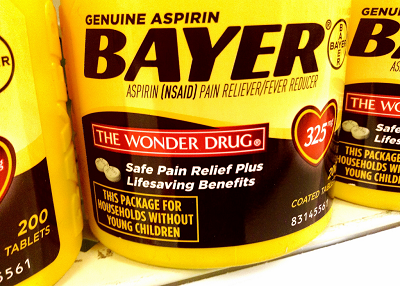 Aspirin is the wonder drug and it’s no wonder. It can help to prevent a heart attack in folks with type 2 diabetes. Ever since I was a kid I always turned to aspirin when I had a headache. But now having diabetes, I’ve learned what the connection is between aspirin and diabetes. Aspirin is a nonsteroidal drug that is anti-inflammatory, is a blood thinner and has many uses. For starters it treats headaches, fever, and pain. It is extremely beneficial for lowering your risk of a heart attack. Why is the risk so much higher for heart disease if you’re a diabetic? I don’t want diabetes or heart attacks anymore than anyone else does. And once you’re diagnosed with diabetes, the next thing that you can do to help yourself is to control it. Testing your blood sugar everyday and keeping your glucose numbers in check will help to lower your risk of heart disease and other complications from diabetes. Aspirin can help to lower your blood sugar as long as you only take small dosages such as 81mg a day. But ask your physician first! So the reasons for higher risks of heart disease and especially when you have diabetes, is that you can develop blood clots from platelets sticking together (causing the clotting). This occurs because you have a higher production of “thromboxane” which is what the substance is called that is responsible causing your blood vessels to be constricted and result in the clotting. So how does aspirin help? It prevents the production of the thromboxane which in turn helps to prevent the clotting and the constriction of your blood vessels which could lead to a heart attack. Aspirin is beneficial for people who have already had a heart attack and also never had heart disease before. 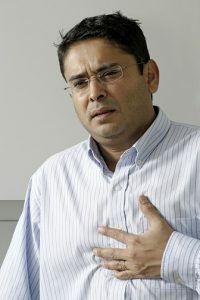 Studies were performed and folks who never had previous heart disease and started on aspirin lowered their risk by 45%! According to the American Diabetes Association, any diabetic patient who shows evidence of previous bypass, angina, stroke, heart disease, or previous heart attack should be taking aspirin daily. Before proceeding any further, my advice is to always consult your physician with any health decision or anything you decide to take that’s new to your body. They should be aware and make the decision as to what’s medically best for you. And while the taking of aspirin can possibly reduce your chance of heart attack by 30%, unless you have underlying issues with bleeding or anything that aspirin would have a negative effect on, then the benefits of aspirin outweigh the risks. So being a diabetic and raising your risks of heart disease should make using aspirin as a therapy to help prevent a heart attack a much easier well balanced decision. My doctor started me on 81mg (baby aspirin) years ago because he knew it was best for me. I could read everything I wanted to about aspirin and heart attacks and diabetes, but the final decision was made by my doctor, not but me alone. While my goal is to lower my blood sugar the natural way and not take medications, it does take time and even when the time comes and my glucose numbers are in the normal range, my doctor and I will sit down and discuss it. But I wouldn’t be surprised and I wouldn’t object to it if he kept me on aspirin. At least I wouldn’t be taking any prescription medications anymore that can eventually have negative effects on my body. One of the biggest reasons to run everything by your doctor is because aspirin can not only be very beneficial but also detrimental as well. This is about the dosages that you take. A small dosage is the best, but you certainly don’t want to be overdoing it with aspirin. Gastrointestinal bleeding is a major risk concern. 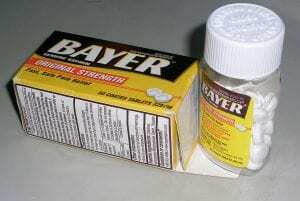 Liver cancer- Aspirin can help fight against liver disease. Studies were preformed on individuals taking aspirin for a time period of one year and found that they lowered their risk of other liver cancer complications and additionally reduced their chance of death from chronic liver disease by almost 60%! Your brain- How many headaches have you experienced? Aspirin works well with relieving the pain from inflammation in the brain. 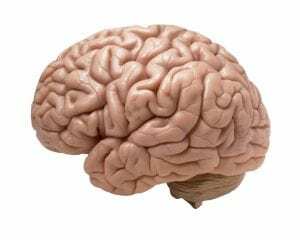 Aspirin has been tested and after a few years it has shown that it not only breaks down proteins that are responsible for causing plaque in the part of the brain that stores memories, it cuts the risk of Alzhemier’s by almost 55%! In addition it raised the memory scores of the people participating in the study. Melanoma- Since skin cancer is one of the most well known cancers in the world today, it should be noted that it has increased in recent years here in the United States. Melanoma is the deadliest of skin cancers. In studies done for a dozen years in women who have taken aspirin regularly it was discovered that the risk of melanoma could be lowered. What the tests revealed was that aspirin activated genes that were tumor suppressant and aided in the death of the cells. The longer that aspirin is used, the lower the risk of melanoma. There are other factors involved here including how you treat your skin and how well you protect yourself from the sun, but also your genetic makeup. It’s not wise to just take aspirin and go lay in the sun. Be responsible! Colon cancer- Colon and rectal cancer is not something to take lightly. Aside from seeing your physician regularly, your gastroenterologist, and having a colonoscopy, aspirin offers the biggest reduced risk of any other cancer in colon cancer. Age past 50- The older you get the more risk you can be at for stroke and heart attack. Taking aspirin from the ages of 50-60 may greatly reduce these risks. The reason it is so important to be taking aspirin during these particular years is because it actually can take ten years for the aspirin to take effect. Discuss with your physician about taking for another ten years if you’ve stayed healthy and free from disease. Breast cancer- Testing that has been done on women taking a low dose aspirin each day cut their risk of breast cancer by 30%. Again low dosage is the key here. NEVER during a stroke! Aspirin could make things worse! Bites and stings- Aspirin can help in reducing the swelling, redness, and pain from stings or bites from bugs and insects because of its anti-inflammatory properties. You can make a paste from aspirin and water and apply to the area. Dandruff- You can mix your shampoo with aspirin and apply to your scalp which will help to exfoliate the flakes on the skin and reduce inflammation of your scalp that cause dandruff. Foot calluses- You can really soften hard calluses on your feet by crushing five aspirins down into a powder and then mix with one half of a teaspoon of water and one half of a teaspoon of lemon juice and apply to the affected areas and wrap your foot or feet in a warm, not hot towel and stay off your feet for 10-15 minutes and then take a pumice stone and file down to soften the calluses. Pimples and zits- Grinding up some aspirin and adding to water to make a paste that you can put on your pimples and kits and wait a few minutes before rinsing off carefully so that you don’t rub off too much and you should see the nasty things start to decrease in size and redness as well. this occurs because of salicylic acid in the aspirin. Hangover- Partying and a little too much to drink last night? Tow aspirin before bed will at least help to lessen the severity of your morning hangover. And to help with the morning headache, take another two. But do not take acetaminophen when you’ve been drinking because it can destroy your liver! So now you know a little more about aspirin and diabetes and the positives and negatives of taking it. A small dosage baby aspirin can help to lower your blood sugar too. Aspirin is useful for thinning blood, but if I had diabetes and I was trying to prevent cardiovascular disease, I would probably try to treat that with lifestyle (diet and exercise) as opposed to taking aspirin. But I guess as a general recommendation, it is useful. What is the dose you recommend? I totally agree that two of the best ways to treat diabetes naturally is with diet and exercise which I discuss on the website. But the purpose of suggesting aspirin is as an addition and not as an alternate recommendation. Every little bit helps against diabetes and high blood sugar. Everyone should consult their doctor as to what dosage, but for me my doctor recommends a baby aspirin of 81 mg daily. Hi Rob, wonderful website, you show me a different way to look at aspirin. I always see aspirin as a blood thinner and great for pain and bad for health at the same time. Honestly, didnt know it had some much benefits help fighting liver diseases, melanoma and some form of cancers. Thank you. Aspirin is often called the wonder drug. It is so beneficial for many things. Anything that helps with diabetes is a plus. But it does have a hand in helping to fight other diseases as well. It’s amazing what a little baby aspirin each day can do to help lower your blood sugar and help you be healthy.